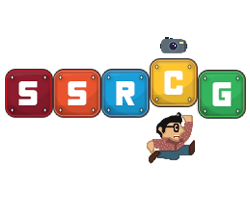 I think it would be a good idea to share some strats and plays we have for everyone on SSRCG to learn and try new things. This could be an article you read and agree with, a take you have made and would like to share to help or for some CnC. I have some nice setups for CT’s on pistol, some nice strats for 2 people holding a site and some good T side rounds we used at i55 for terrorist on Mirage, cache and inferno. What you on about lad? They’ll never expect 5 mag-7’s rushing long every time. It’s the only tactic we’ll need. Seriously though, this is an awesome idea, will be sure to check out these sites when I’m home. What about the TEC-9 mid rush?! We worked long and hard on that! On Dust 2, the tactical plants guide which Gav has linked suggests planting in front of double stack boxes on B to give a good view from tunnels. Does this have any benefit over planting in between broken wall and doors right up against the wall? It seems like you’d be able to see that from tunnels just as easily and it’s a lot harder for someone to peak wall or doors and murder you while you’re planting. The only advantage I can see on that is if you went out to ramp as the T, if you got into the CT was retaking from B tunnels otherwise its your choice. On another note. I have been running this pistol take setup for CT mirage. On A, one plays triple stack watching connector one plays on stairs/sandwich watching palace and keeping an eye on ramp. If they push ramp you have both guys in decent spots to watch it. One plays short, one plays site watching window and one peeks b apps jumping from truck. Weapon distribution is up to you I like to have a guy buy smoke on B incase the spotter sees someone, and he drops a p250 or a five seven for someone with armour. I think the issue with that is if your last man and defending from tunnels you have to expose your self more from tunnels where if its next to the stack your not as exposed from as many angles. Both fair points and both make sense. I think personally I’d be planting against wall every time in a 1v1 situation, but maybe if there’s more than one person on CT alive and door is smoked, I’d guess it’d be a better call to plant in front of boxes to avoid exposing yourself as much as Smidsy said. I’m so far behind with my web design since getting this job. I wish i could do jquery wizardry to make interactive diagrams like that site does cos I could show you the world. I’ve got a million and one strats and smokes and flashes for both team and soloqmm which i’ll slowly put on here. I prefer your plant over the “tactical” one in soloq purely because you don’t have to move afterwards and can either watch tunnels and listen door/window or smoke tunnel and watch door & listen window with minimal chance of being flashed by any of the big 3 pop-flashes. Plus - nobody that comes in through window checks down and to the immediate left. Best 1vX clutch position. I’ve been using a strat on T side pistol rounds that seems to have a high w/r. Buy dualies > Bait team mates > Ace the other team. There’s a few points where it can go wrong, but it generally works quite well. In 1 1vx then sure but I thought the guide talked about best place to plant if there are a few on site. Militia free running jump video. Why has this comment not been deleted but mine was! Does it involve strafe/rocket jumping?